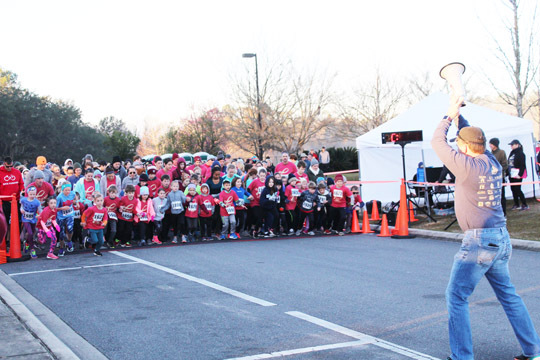 On Saturday January 26th, Roberts Elementary hosted The Trent 10K, 5K, & 1M. The Trent, previously named The Trent Trot, is a fundraiser that has been taking place at Roberts for 10 years. The Trent is a run to honor the life and memory of Trent McElroy, a Roberts elementary student who lost his battle to cancer in 2013 during his fourth grade year. Leigh Anne McElroy, Trent’s mom, ran the race with her family, as she does every year. She loves seeing the community come out and run, and she says one of her favorite parts of the race is remembering Trent running alongside her. “If he could do it, I can too,” McElroy states. 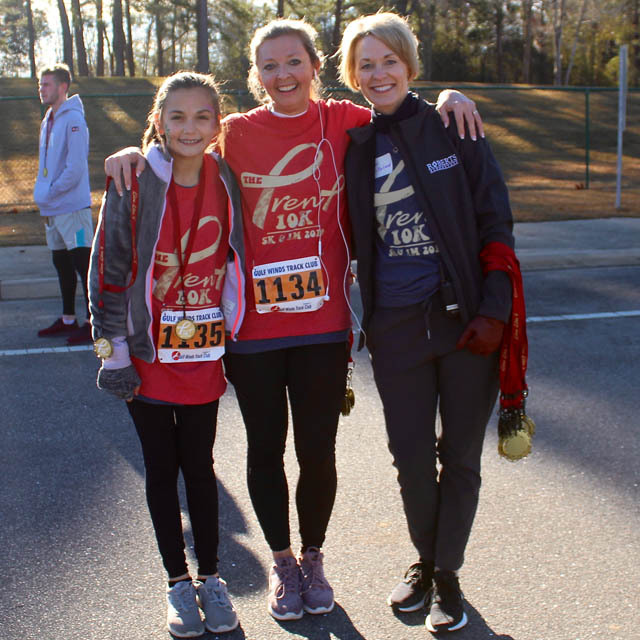 Trent’s mother, Leigh Anne McElroy poses alongside her daughter, Chloe and Principal/Co-Race Director Kim McFarland at the 10th Annual The Trent 10K, 5k, & 1M. Over 800 people were registered to run The Trent this year, and despite temperatures being in the 30s, the spirits among the runners and by-standers were high. There was constant cheering as racers crossed the finish line, and in celebration of the 10th year of the race, every runner received a medallion once they finished their run. 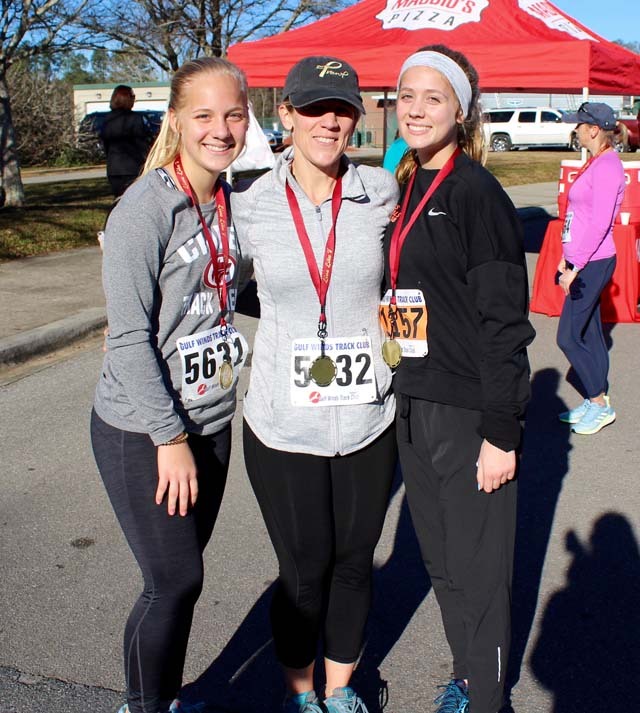 Meghan Wilkey has ran the race all 10 years with her daughters Caitlin and Lauren, who both attended Roberts. After all her years of running the race Meghan says it has gotten better each year, and that there is always a great community and family atmosphere present. Lauren Wilkey, who was good friends with Trent, says she likes to come back and reunite with her teachers and friends. The Wilkey family also talks about how they liked the longer 10K course which was added on in celebration of the anniversary and will continue to be a part of The Trent for years to come. All of the proceeds raised the race are donated to the Trent’s Touch foundation, which help families battling the expenses of pediatric cancer in Leon and surrounding counties. Since Trent’s Touch started they have helped over 37 families. The Principal of Roberts Elementary and Co-Race Director, Kim McFarland reflects on The Trent 10k, 5k, and 1M by saying she thought this year’s race was really successful. McFarland and Roberts Elementary greatly appreciate the Gulf Winds Track Club, which provides all of the timing equipment and awards for the race results. 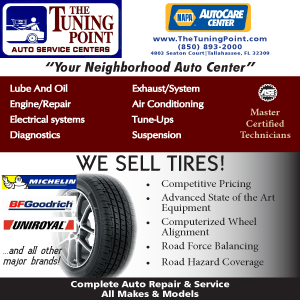 Gulf Winds was just one of over 36 sponsors for The Trent. Meghan Wilkey poses with her two daughter’s Lauren (left) and Caitlin (right) after they completed the The Trent for their 10th year in a row. Both girls attended Roberts Elementary and love coming back to see their old teachers and classmates. This year, there was not an official awards ceremony at the end of The Trent, but runners could view their results and collect either their trophies/medals as soon as they were posted. Julianne Smith-Frazer is a senior majoring in Editing, Writing, and Media at Florida State University. She is also minoring in French and plans to study abroad in Paris this summer. In the future, she would like to write and take photographs as a journalist for a reputable news source.